The artist, residents in Art El Lewa, University professors and unemployed youth. Idea and production by AsunciÃ³n Molinos Gordo. Hosted by Ì Artellewa Art Space. Collaborators: Elisabeth Shoghi, 5 star international chef: Om Islam, Om Mohamed, Om Karim y Wafea: Ì traditional cooks, Solafa Ghanem: mediator, Salima Ikram: archaeologist. 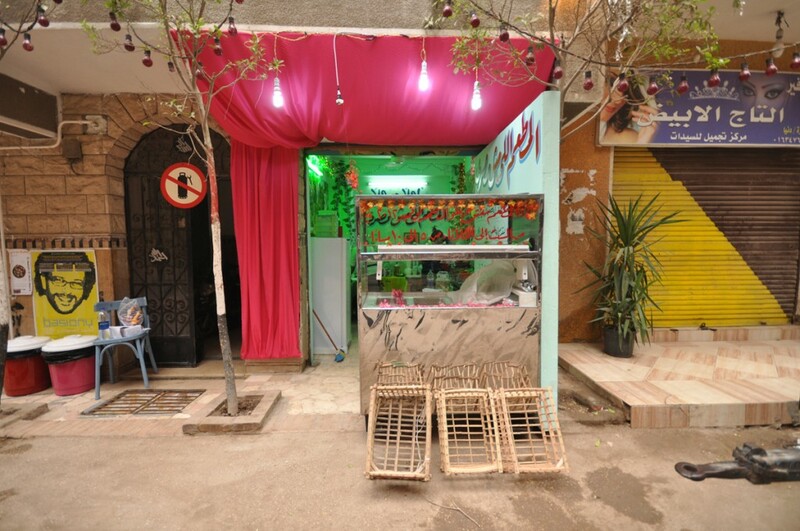 The project was based on the creation of a restaurant in the neighbourhood of El Lewa, Cairo â€“ one of the many neighborhoods built illegally, known as Ashguahiyats, a term meaning 'leaving things to chance'. Using different kinds of menus, people have been able to deal with issues relating to food and agriculture such the substantial loss of fertile soil as a result of uncontrolled growth in suburban areas on top of agricultural land; or the impact of export/import policies on Egyptian diet. Lack of food sovereignty is one of the main factors that sparked the ongoing Egyptian Revolution. This projectâ€™s main goal is to reintroduce into public discussion facts about the food and agriculture situation which are crucial to the countryâ€™s future. The restaurant was designed as a meeting point where, rather than through mass media, users and initiators could start a conversation. The project also aims to â€˜translateâ€™ into real dishes some data that would normally be presented under the abstract coding of mathematical percentages. Facilitating casual meetings between residents, university professors, researchers, activists, visiting artists who all sat at the dining table. In a time when public discourse is being shaped in order to divide the population according to ethnic group or religion, the projectâ€™s main beneficial outcome was to remember what is common among the variety of people than life in Egypt: food, a basic need.